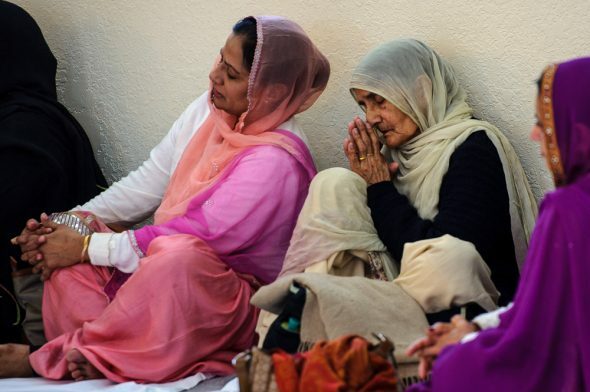 Des Moines, Iowa — When refugees from India brought their Hindu beliefs to Iowa, there was no official place for their community to worship together. They made do by assembling in homes to practice their faith. Today the Hindu Temple and Cultural Center of Iowa, an ornate white marble structure that rises above the cornfields 30 miles northwest of Des Moines’ metro, is one of 15 religious communities featured in the Drake Community Press’ latest book, A Spectrum of Faith: Religions of the World in America’s Heartland, slated for release on April 6. The book, a 134-page coffee-table-style paperback, is a culmination of more than two years of work by Drake students and faculty, as well as numerous academic courses, an editorial board, a local photographer, donors, community-involved committees, and an interfaith partner. 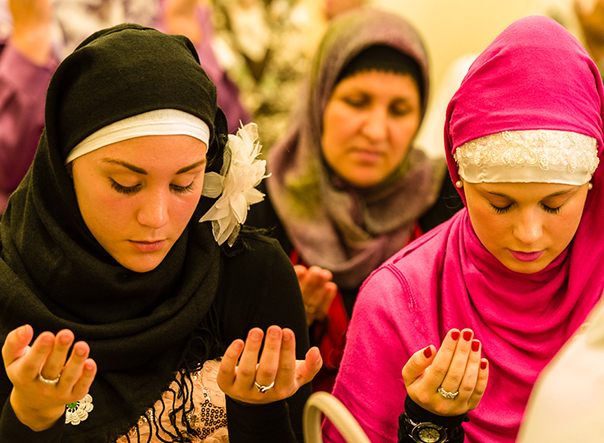 Rich with stunning images, each chapter is a story of one faith community written by a student who spent several months immersed in that community. 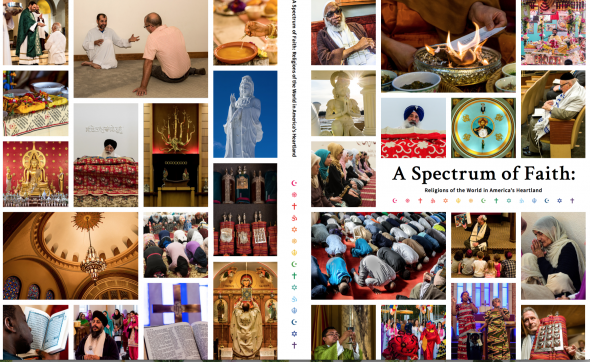 While the production of the book enhanced the skill sets and portfolios of students and faculty alike, the goal from the beginning was to bring the local diversity of religious faiths and their sacred spaces to light. A Spectrum of Faith: Religions of the World in America’s Heartland will be officially launched on April 6 at 6 p.m. at Drake University during the Iowa Interfaith Exchange. Acclaimed interfaith leader and author Eboo Patel, of Interfaith Youth Core, will be presenting a keynote presentation, along with other speakers, panel discussions, and a showing of a behind-the-scenes documentary about the making of the book. Pre-orders for the $30 hardcover book are being taken by DMARC at www.dmarcunited.org/book/. 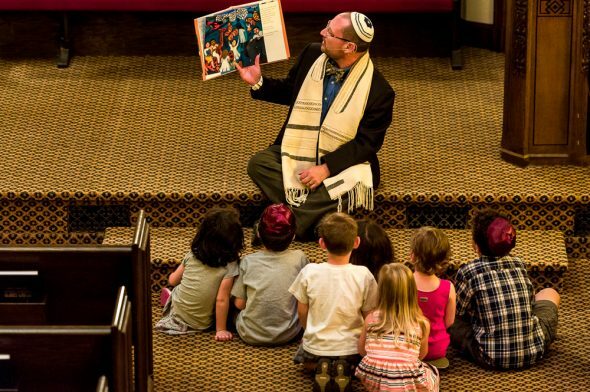 From three Jewish synagogues to two Sikh gurdwaras, three Islamic mosques, two churches, one basilica, two Buddhist temples, and two Hindu communities, the diversity moves beyond Protestant and Catholic traditions, which, according to a Pew Research Study, are the predominant religions of most Iowans. The book was conceived when Knepper, who is also director of The Comparison Project, a Drake forum for interfaith dialogue, wrote a letter to the editor that caught the attention of photographer Bob Blanchard in October 2014. Knepper’s letter inspired Blanchard to seek out and photograph the 30-foot statue of a Buddist bodhisattva (deity) tucked away in the peace garden behind Tu Vien Hong Duc, the local Vietnamese Buddhist temple southwest of downtown Des Moines. When Blanchard contacted Knepper seeking information on other unique religious sites in Des Moines, Knepper mentioned an idea for a collection of photographs of different religions in Des Moines, and the idea for the book was born. Blanchard and Knepper took their idea to Carol Spaulding-Kruse, a Drake University English professor and director of Drake Community Press (DCP). DCP is a publishing experiment that engages the community in writing on issues of concern and interest to Iowans, partners with local non-profits and provides Drake students with publishing experience. She embraced the idea, and it became part of the two-year curriculum that involved five classes, approximately 65 students, an editorial board of 10 local storytelling experts, and an advisory board of 10 local community leaders. A Spectrum of Faith, sold online and through independent area booksellers, is projected to raise thousands of dollars to support DMARC’s food pantry network. Philanthropic support for the book project and the Iowa Interfaith Exchange at which it will be released comes from the Slay Fund for Social Justice and Cultivating Compassion: The Dr. Richard Deming Foundation. Knepper emphasizes that Iowa’s rich history of welcoming what he calls “the other,” namely immigrants and refugees, has played a key role in creating the religious diversity Des Moines now celebrates. He mentioned the prime example being from 1972, when the Tai Dam, an ethnic minority group from Laos and Vietnam, fled to Thailand for refuge. The first U.S. governor to respond to the Tai Dam’s crisis was Iowa’s then-Gov. Robert D. Ray, who made Iowa the first state to welcome the refugees to America. 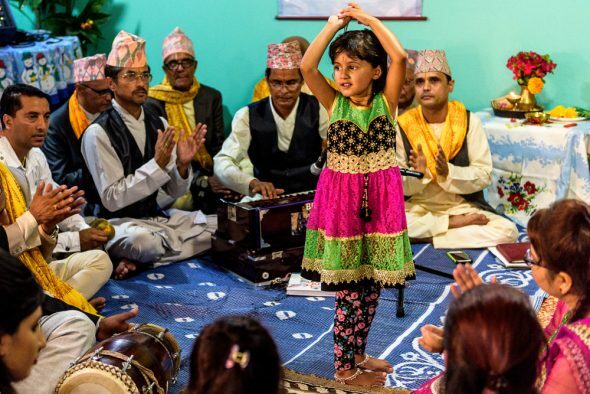 Since then, Iowa has been a haven for refugees from more than 100 birth countries who have established communities and built sacred spaces in which to practice their beliefs. 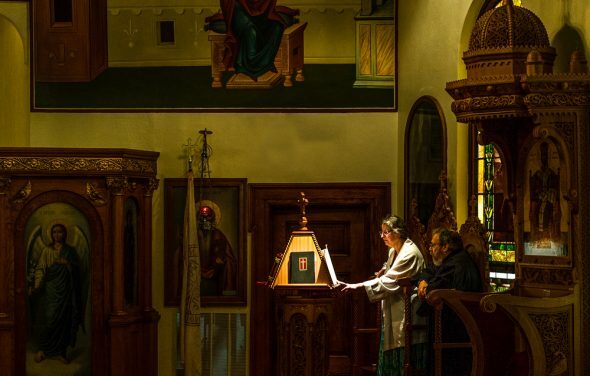 These faith communities welcome Iowans to their places of worship, from the Hindu temple in a cornfield to a basilica in the middle of Iowa’s capital city. A Spectrum of Faith serves as a pictorial display with historical and religious insights, as well as a guide, to 15 of the numerous religious communities in America’s heartland. A unique small-press publisher since 2014, the Drake Community Press is a two-year curriculum-based publishing laboratory and community engagement experience that includes student and faculty collaborators from several academic disciplines, along with a selected non-profit partner with a story to tell about their work and mission. DCP is a 21st century publisher utilizing a variety of media platforms, related events & supplemental publications to “write with” the community.